In a recent post , I emphasized the idea that Nature is dynamic and changing even when humans are not impacting the environment. But yet, we see humans see resilience where Nature’s changes appear to be pretty stable and predictable. The sun rises and sets every day. The four seasons of the year each have generally predictable climates. The forests, meadows, and lakes that we visit appear to be pretty much the same from year to year. And so on. There seems to be an inconsistency between what science tells us about changes in Nature and what we observe. This paradox, in part, is a matter of scale. Nature’s changes usually happen slowly over long time periods that exceed the life span of humans. So, in most cases, we do not see long term changes in Nature. We only see clearly the seasonal or cyclical changes. But, change at one level can influence other levels, cascade down or up levels, reinvigorate, or destroy. So, how can we resolve the idea that Nature changes even though our own observations may not be able to see changes? How is it that we humans can do horrible things to our planet but fail to see (at least in the near term) any negative impact on Nature? The answer comes from Nature’s inherent ability to adapt to change. This quality is called “resilience”. Resilience in Nature is the capacity of a system to absorb disturbance and still retain its basic function, structure, and feedback systems. Resilience usually works within limits. If a disturbance is too great, the effect of that impact will overcome the ability of Nature to make corrections. 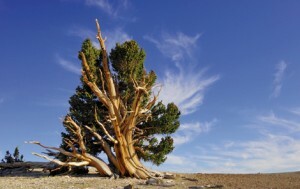 The process of resilience involves a phenomenon known as feedback. 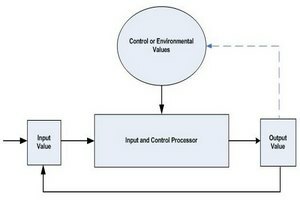 A feedback loop is a mechanism by which change in some environmental variables result in either an amplification or a dampening of some behavior within the ecosystem. A familiar example of feedback is the cruise control in our automobiles. After we set the control to govern a given speed of the car, the feedback mechanism increases the throttle if the car is going slower than the set speed. Likewise, the feedback mechanism backs off on the throttle if the car exceeds the selected speed. In our cruise control, the next action is defined by the state of the current condition which is the speed of the vehicle. Another familiar example is how we humans, and other animals, thermo-regulate body temperature. If we get cold, we shiver. If we get too hot, we sweat. The temperature sensor in our body sends signals to shiver, sweat, or do nothing. Our car’s cruise control and our body’s thermo-regulation mechanism are examples of linear feedback controls. A single event drives an expected response. But linear feedback rarely happens in Nature. Far more often, a feedback mechanism responds to combinations of varying and unpredictable inputs and environmental factors that change over time. The results are non-linear, highly unpredictable, and chaotic behavior. Think about a population of rabbits that live in a farmer’s field. 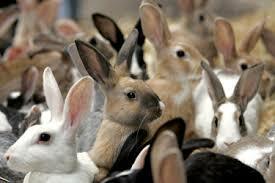 The current size of the rabbit population depends on external factors such as weather, food supply, and predator activity. Each one of these controlling factors is highly variable and usually unpredictable. Consequently, the resulting population trend is highly variable and unpredictable. Feedback systems that respond to the combination of a number of different unpredictable influences result in the complexity and unpredictability that we see in Nature’s ecosystems and their organisms. 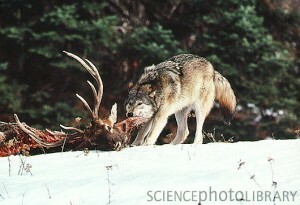 This is a classic scenario for Nature’s ecosystems. Science calls this chaos. Chaos describes a system that has apparent randomness but, when more closely observed, order is seen. While producing some chaos, Nature’s feedback systems also produce ordered resilience in ecosystems. Resilience arises from a rich structure of many feedback loops that can work in different ways to restore a system even after a large perturbation. Ecosystems with much biodiversity are resilient because they contain many complex feedback systems that serve to correct for outside perturbations. At Yellowstone National Park, when the wolf was reintroduced, Nature’s feedback mechanisms restored her ecosystems to an approximate earlier state or equilibrium. But, it is important to note that equilibrium in Nature is dynamic. It is rarely a fixed state. For example, equilibrium could be cyclical or complex. It is also important to note that Nature’s resilience mechanisms do not necessarily act to restore ecosystems to a previous state. 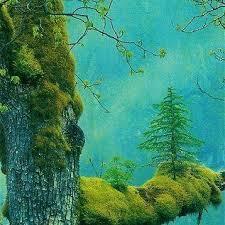 Nature does not predefine equilibrium. Equilibrium exists only in the minds of we humans who vainly try to “manage” Nature in some state of equilibrium. Unlike Nature, our current environmental and resource management policies seek to restore a fixed balance when we seek to control Nature. It won’t work. The basic framework underpinning our approach to environmental management has been based on a false assumption of stability or equilibrium. Regulations, such as fishing or hunting quotas, are crafted to create a static equilibrium. These steps are all needed, but there is one catch: they won’t solve the problem. We have assumed that we can manage individual components of an ecological system independently, find an optimal balance between the components, and assume that other attributes of the system would stay largely constant. 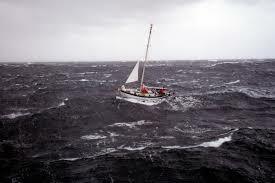 But, ecological systems are extremely dynamic, their behavior much more like the analogy of a boat at sea. They are constantly confronted with “surprise” events such as storms, pest outbreaks, or droughts. What is optimal for one year is unlikely to be optimal the next year. The structure and function of the ecosystems continually change through time. They will change even more rapidly in the future as global warming becomes an ever-stronger driver of change. We have not understood well enough the functioning of the ecosystems involved. It isn’t just the amount of knowledge – the details about species and ecosystems – it’s also the kind of knowledge. We have yet to fully comprehend the impact of thinking at a systems level. We don’t have a clear idea of how resilience works to deal with change. 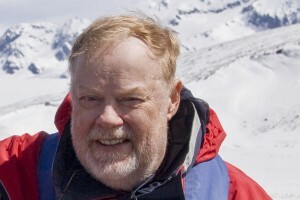 The systems we live in and depend on are usually configured and reconfigured by extreme events, not average conditions. While minor changes are often incremental and linear, the really significant ones are usually lurching and nonlinear-like mouse plagues in Australian wheat crops, insect pest outbreaks in forests in North America, and the sudden change from a clean, clear lake to one dominated by an algal bloom. Ecology, economics, and sociology is full of examples showing that the systems around us, the systems we are a part of, are much more complex than our assumptions permit. What it all adds up to is that there is no sustainable “optimal” state of an ecosystem, a social system, or the world. It is an illusion, a product of the way we look at and model the world. It is unattainable, and yet it is a widely pursued goal. It is little wonder, then, that problems arise. And when they do, rather than question the validity of the model being applied, the response has been to attempt to exert even greater control over the system. In most cases this exacerbates the problem or leaves us with a solution that comes with too high a cost to be sustained. 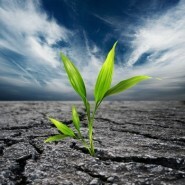 Resilience, in reality, is the act of adapting to change. Change and resilience go hand-in-hand. Resilience thinking is about understanding and engaging with a changing world. By understanding how and why the system as a whole is changing, we are better able to build a capacity to work with change, as opposed to being a victim of it. The reality of resilience in Nature is that social and ecological systems are complex adaptive systems. Resilience does not act in a predictable, linear, incremental fashion. Resilience can exist in more than one kind of regime in which function, structure, and feedbacks are different. Shocks and disturbances to these systems (like fires, floods, wars, and market changes) can drive a system across a threshold into a different regime, frequently with unwelcome surprises. The realities of change and resilience are facts of Nature over which we humans have little control. Here are some suggestions from the Stockholm Resilience Center. Maintain diversity and redundancy. Systems with many different components, be they species, actors or sources of knowledge, are generally more resilient than systems with few components. This leads to redundancy which provides ‘insurance’ by allowing some components to compensate for the loss or failure of others. In other words: “don’t put all your eggs in one basket”. Manage connectivity. Well-connected systems can more easily recover from disturbances.Perhaps the most positive effect of landscape connectivity is that it can contribute to the maintenance of biodiversity. This means building wildlife corridors and encouraging connected habitats rather than permitting habitat destruction. Foster systems thinking.A systems approach means accepting that within a social or ecological system, several connections are occurring at the same time on different levels. It also means accepting unpredictability and uncertainty, and acknowledging a multitude of perspectives. This means adopting the idea that man cannot control Nature. Encourage learning. 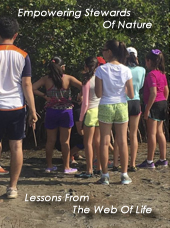 The most powerful conservation tool is environmental education with both our young people and adults. By including studies about connections in Nature, a “connectivity consciousness” gradually becomes a part of our Nature consciousness. With a “connectivity consciousness”, the ideas of biodiversity, change, and resilience in Nature become part of conservation thinking within humans. Thank you very much. It was very interesting to read and learn more from your knowledge.